By 1972, Pink Floyd was known for two distinct styles of music: Psychedelic Art House and soundtracks. The band had released six albums (included in these is the soundtrack for the film “More”), and two additional soundtracks - The Committee and Zabriskie Point. When they were asked to supply the soundtrack for the Barbet Schroeder film “La Vallee,” they agreed to do it, only because they had been honing what was to be their next album, Dark Side of the Moon, for months and could afford to take a break. 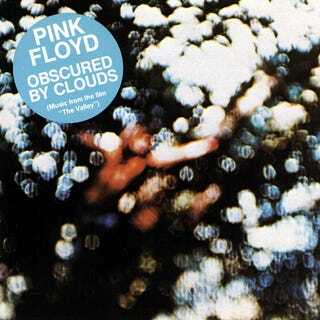 Obscured by Clouds is the album that,I feel, bridges the old Floyd to the new. The rest of the album is exactly what a good rock album should be - songs which are direct and to the point. At a very robust 40 (or so) minutes long, it’s easy to sit through and enjoy. The songs are punchy and devoid of any unifying thread, which would go on to be the calling card of Pink Floyd until the release of 1987's A Momentary Lapse of Reason. I feel the standout songs are “Obscured”, “The Gold it’s in the...,” “Wot’s uh,the deal?”, and “Free Four.” It’s not a real stretch to find those the most engaging. You can listen to the album here. I highly recommend getting in the right frame of mind and putting in your earbuds or a really quality set of headphones. Let me know what you think in the comments.